Pretty gold floral make these temporary tattoos such a fun summer accessory. 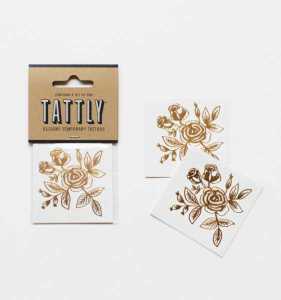 No committment, just playful & pretty, just like everything designed by Rifle Paper Co. Set of 2 shimmering gold tattoos, fun little gift. Vegetable based ink. Set of two, $5 (Not always in stores).